Computer Gaming World Comments and Highlights: Early issues of CGW had beautiful cover illustrations which were not necessarily related to the contents of the issue. 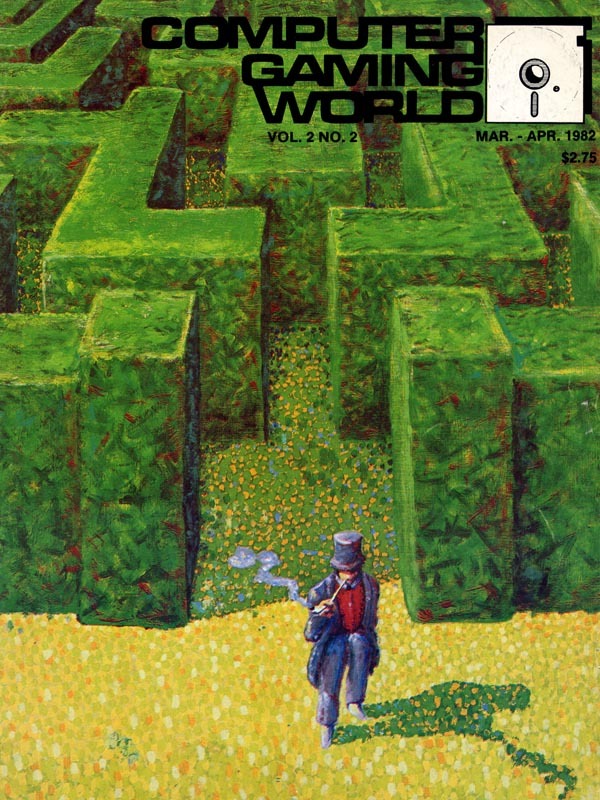 2.2 featured a hedge maze, drawn as an exploration of pointillism. Inside the magazine: notes on numerous SSI games, including an article by SSI founder Joel Billings, results from CGW�s Robotwar tournament, and advice on computer game design. Very possibly the rarest of all CGW issues.